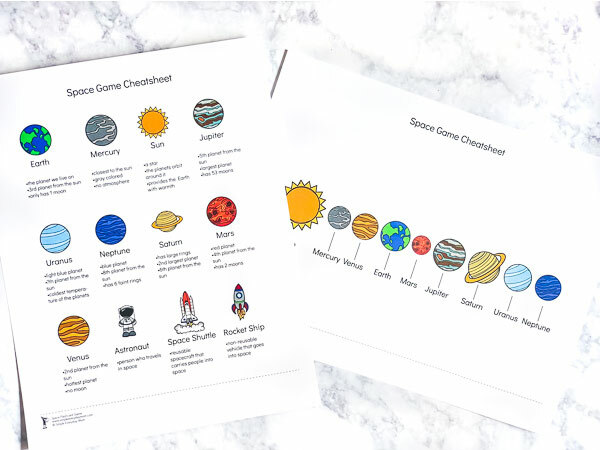 Inside: Teach your kids all about the solar system with this fun, hands-on game! Yesterday we kicked off our brand new unit study that is all about space for kids. We started things off with these free printable space coloring pages. 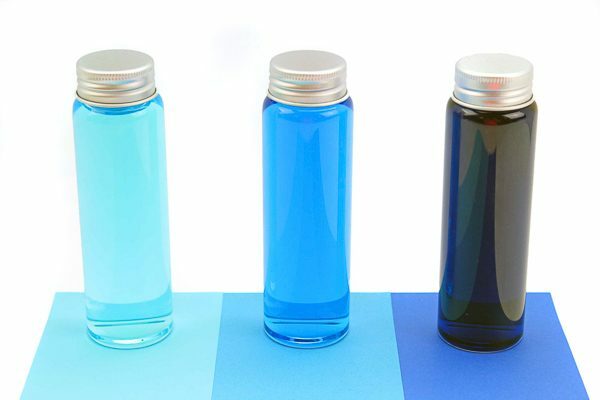 They’re a great way to get kids interested in space and introduce planets. 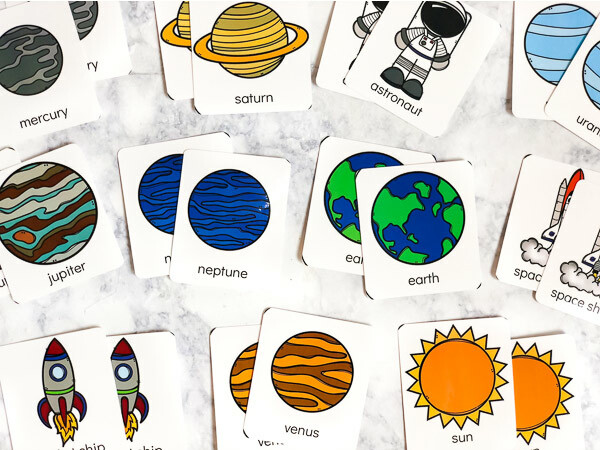 Today we’re sharing these space flashcards and a super fun game you can play to help teach your kids simple facts about each planet. 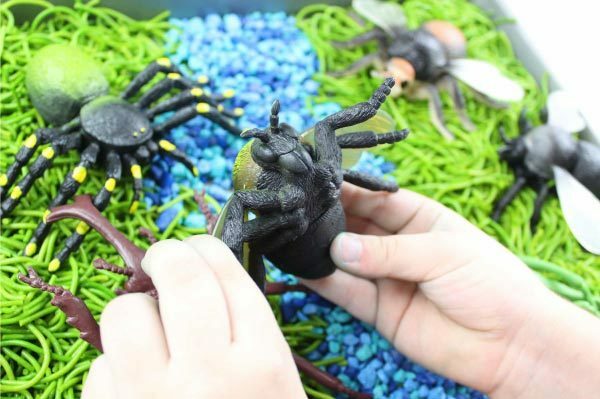 Read on below to see how to play this game with your kids. If your kids are brand new to the solar system and everything in it, it’s best to first teach an introductory lesson about the planets or read some space books for kids. 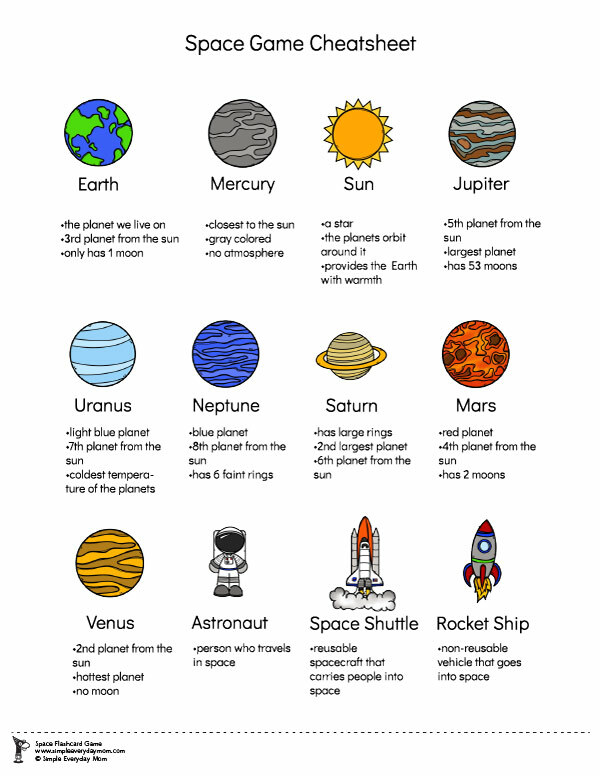 If they’ve already studied space and the planets at school, you can use this game as a refresher. To get set up, print out the flashcards on the white cardstock. Next, laminate and cut out each flashcard. After laminating, I always round the corners so they aren’t so sharp for little hands. To play the game all you need is 1 or more players and 1 tester (usually Mom or teacher). If you’re playing with more than one player, the object is to have the most flashcards at the end of the game. 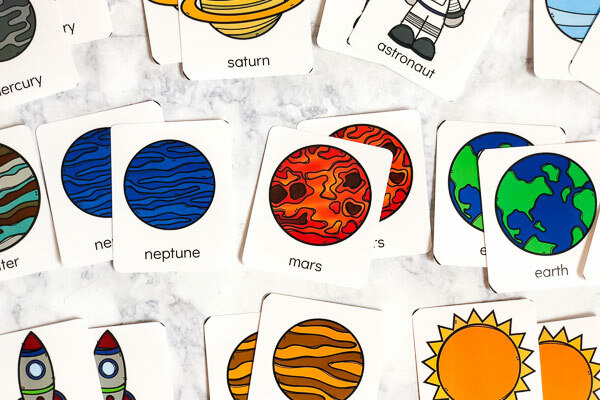 A player earns a flashcard by correctly guessing the planet or space object on their flashcard. If you’re only playing with one player, the child wins by earning 6 flashcards. 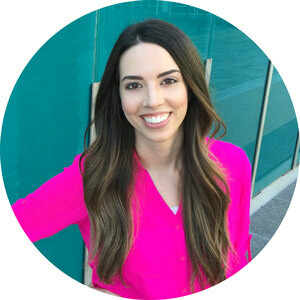 You can always change the number of flashcards needed to win if your child is younger or having more difficulty learning the facts. Before the game begins, tape one space flashcard onto each player’s back (not the tester). If you own the Hedbanz game (which is really fun btw), you can slip the flashcards into the headbands instead. The youngest player gets to go first. Players are allowed to ask 2 questions about their space flashcard on each turn. The questions cannot be “Is my flashcard Jupiter?” or any other planet’s name. They must be questions related to the facts about their card. Am I a red planet? Am I a planet larger than Earth? 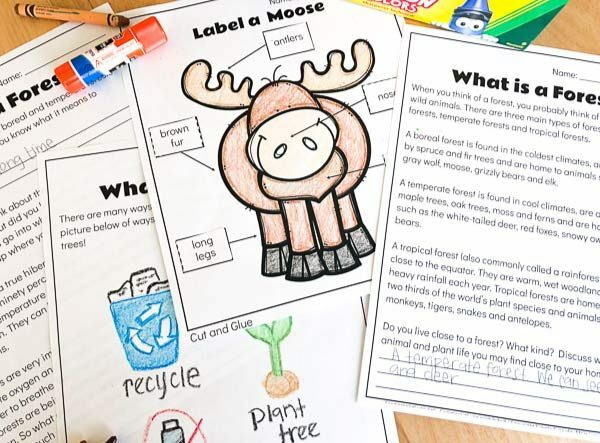 If your child is having difficulty coming up with questions, have them look at the planet cheat sheet to see what questions they can come up with based on the facts. Once the 2 questions have been asked, let the child have one guess about which card is theirs. If they get the answer correct, then they get to keep the card. If they’re incorrect, they have to wait until their next turn (if there is more than one player) to ask 2 more questions. Is it the smallest planet? Remember you can also print out two sets of these flashcards and make them into a memory game as we did with this dinosaur theme preschool memory game. This is such a fun way to learn about the solar system! 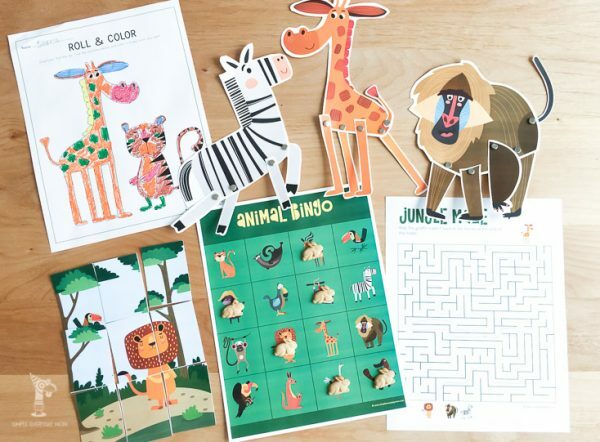 If your kids love playing games, try this game out with them (and also check out these fun preschool board games too!). Don’t forget to enter your email in the form at the bottom of this post to download your free space printables. So happy to receive this great freebie!